Four Aeolian Harps were erected on top of the gallery roof and the sounds produced were projected (and amplified) into the four corners of the darkened gallery beneath. 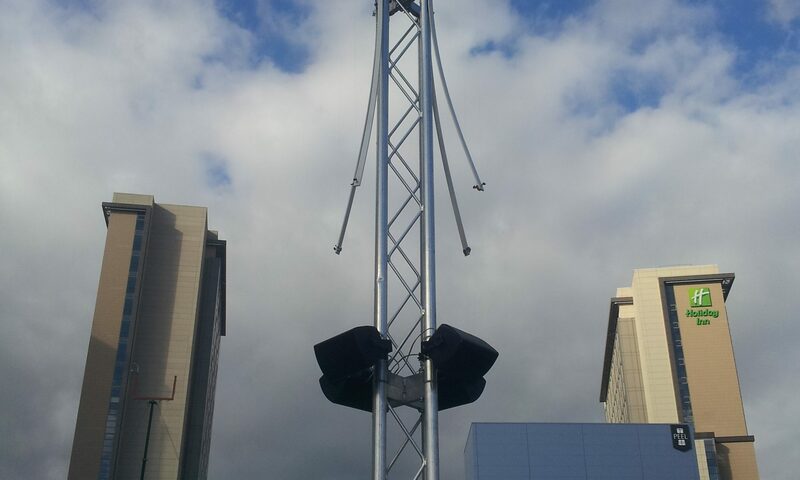 The installation ran for two weeks for the duration of the Music 21 Festival. 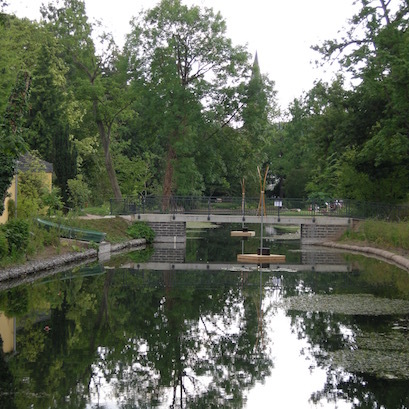 In 2014 Max Eastley was Bonn City sound artist. 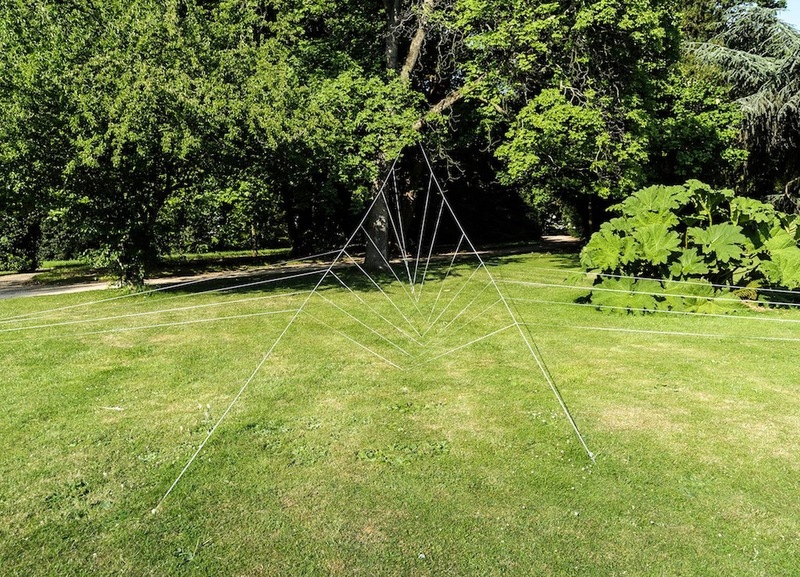 He built three Aeolian installations in the Botanical Gardens, Bonn, which were exhibited from 14th June - 31st October 2014. 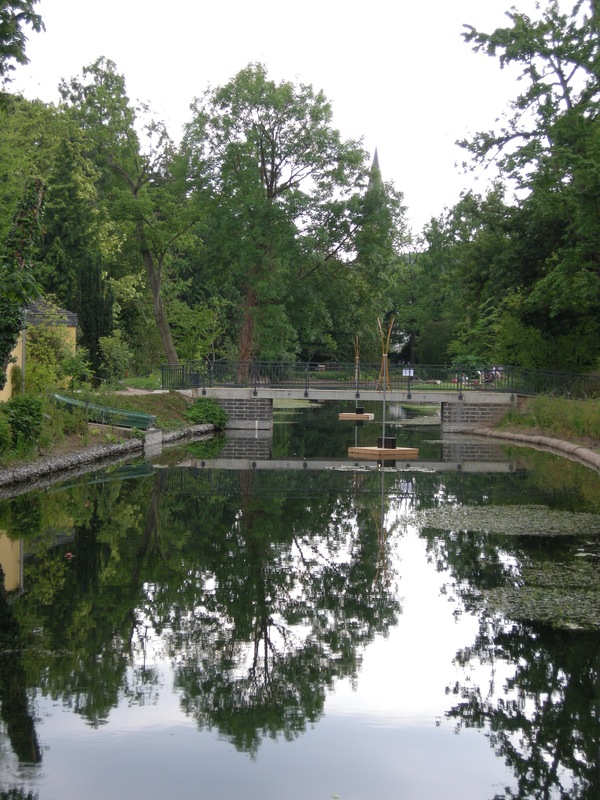 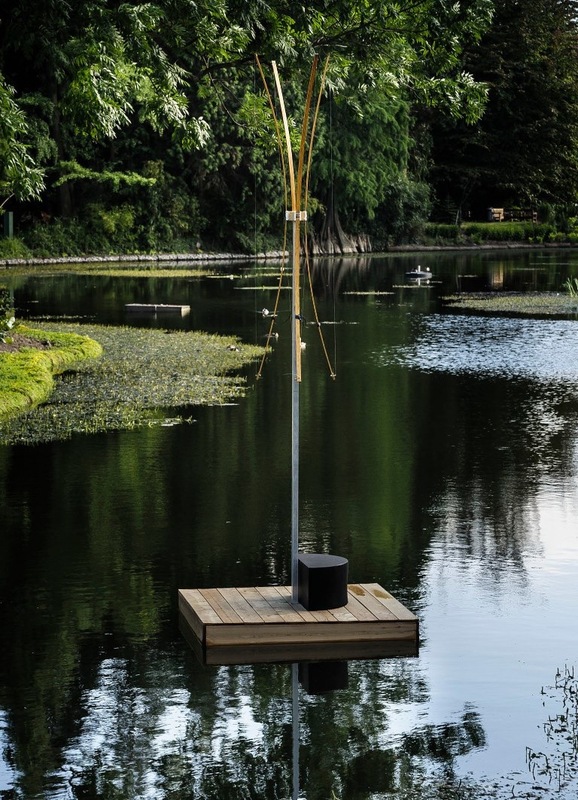 One installation consisted of Aeolian harps mounted on two rafts floating on a lake in the gardens. 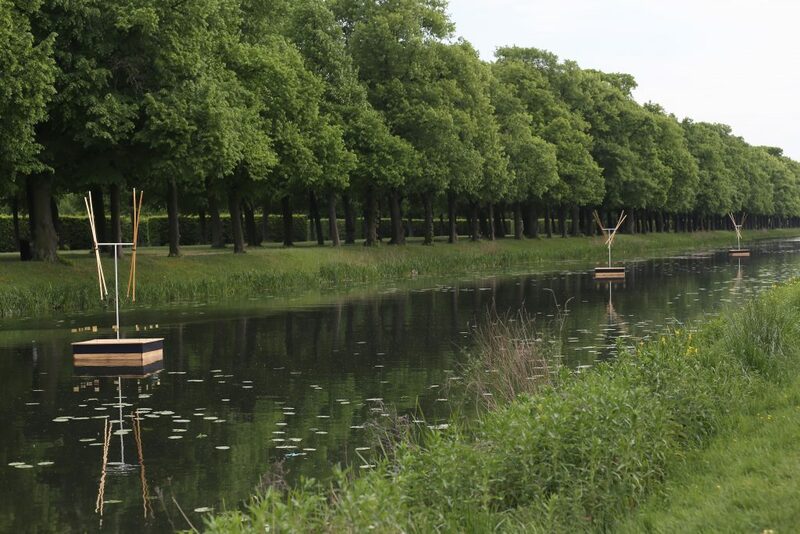 The sound of the harps was amplified and projected from speakers on the rafts. 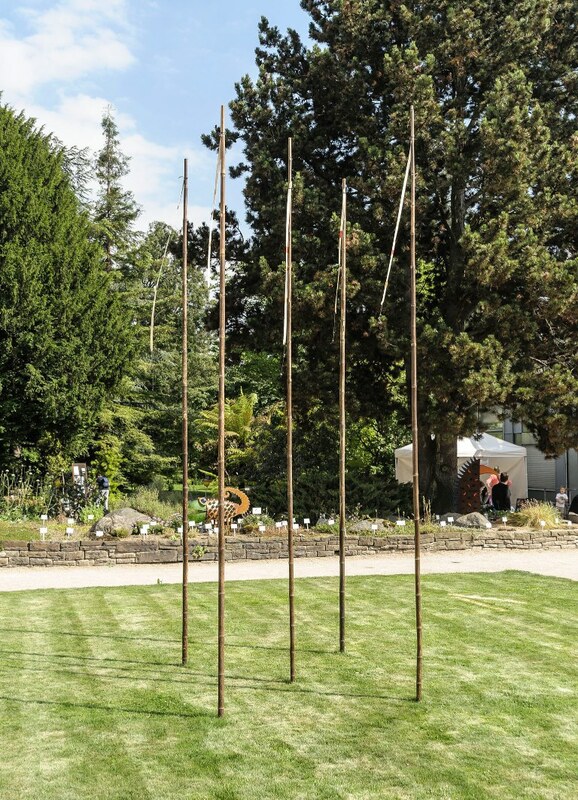 The other Aeolian installations used different materials, latex and black bamboo, that related to the environment of the gardens. 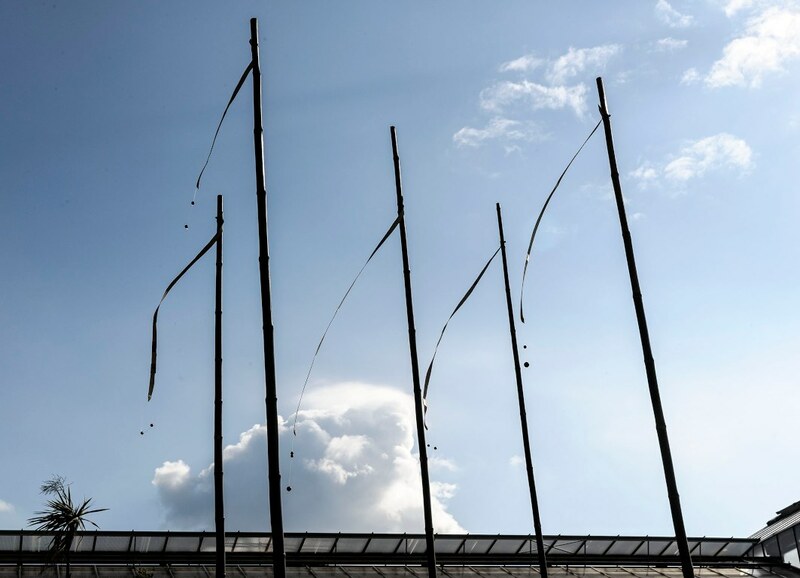 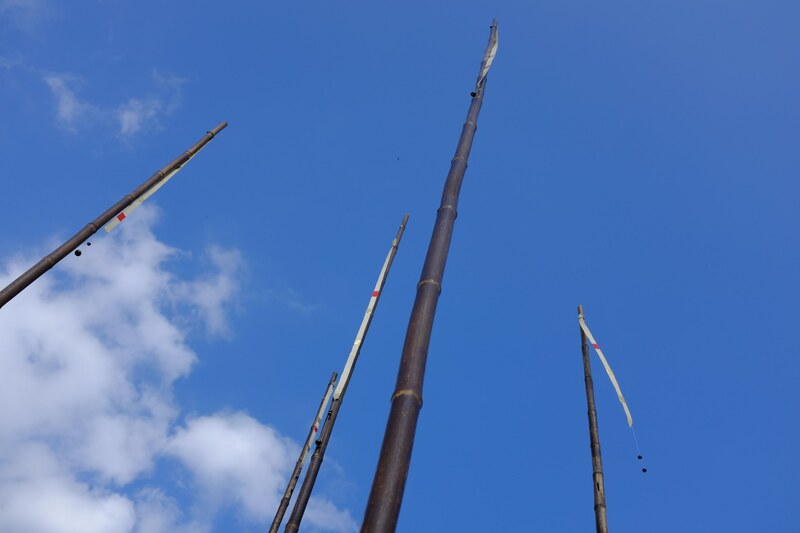 Inspired by Max Eastley's Aeolian researches, Audible Forces was a touring exhibition organised by a collaboration between Oxford Contemporary Music, The Sonic Arts Research Unit at Oxford Brookes University and Without Walls. 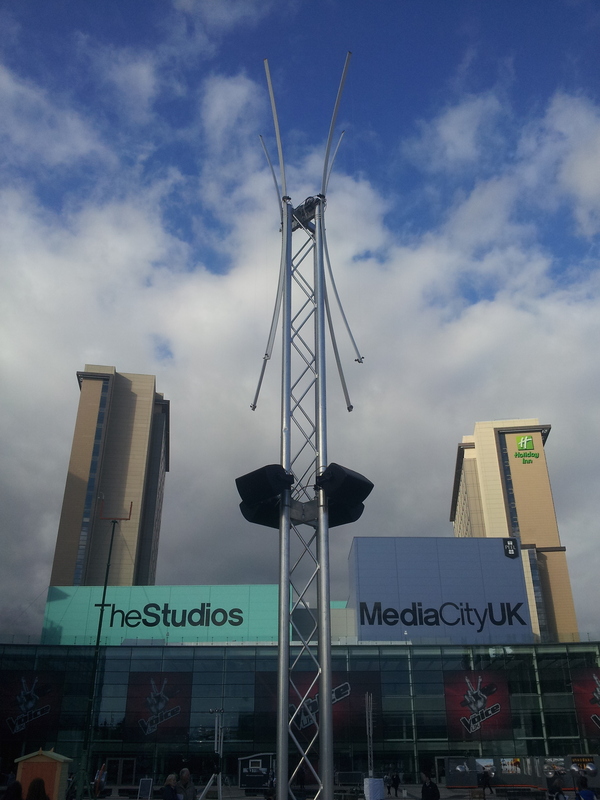 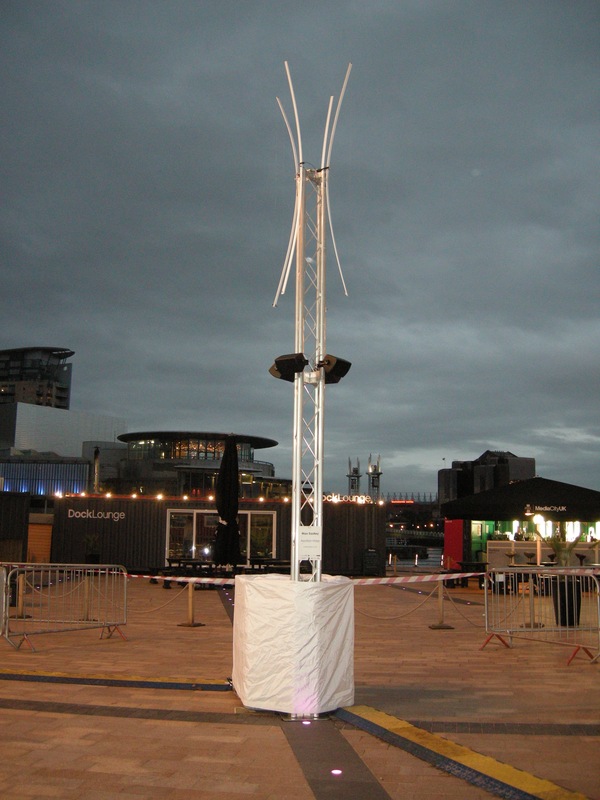 This was an outdoor exhibition of seven artists who all created artworks using the wind to produce sound. 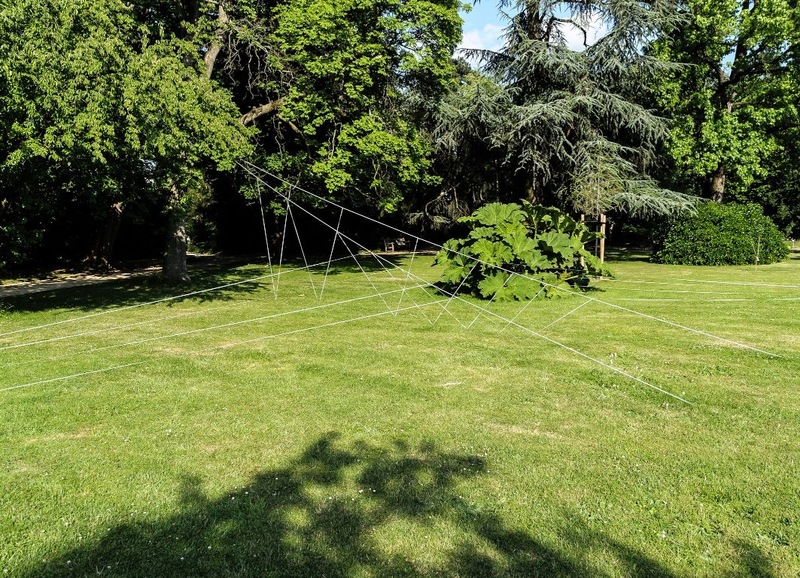 The exhibition toured for two years (2013-2014) and went to Brighton Festival, Norfolk & Norwich, Salisbury, Greenwich & Docklands, Stockton, Kendal Lakes Alive, Salford and Stoke-on-Trent. 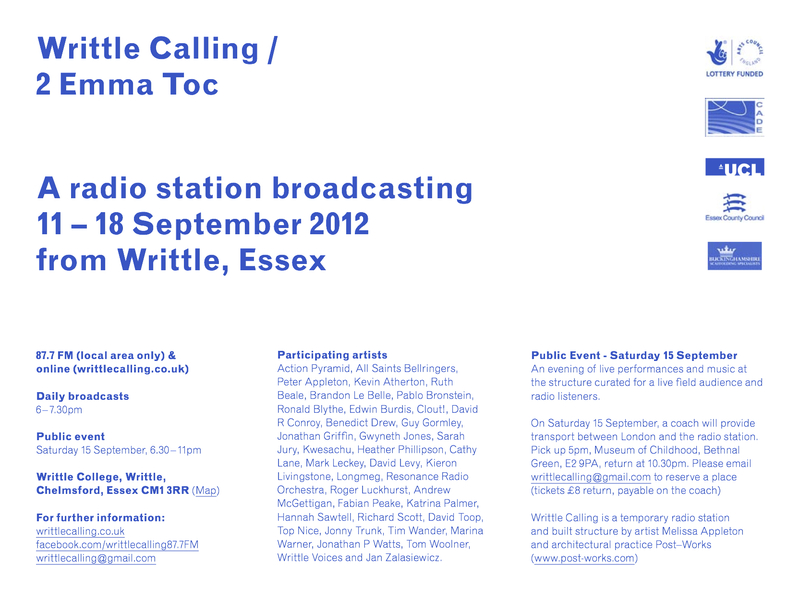 The artists were: Mark Anderson, Mike Blow, Jony Easterby, Max Eastley, Dan Fox, Cathy Hinde and Nathaniel Mann. 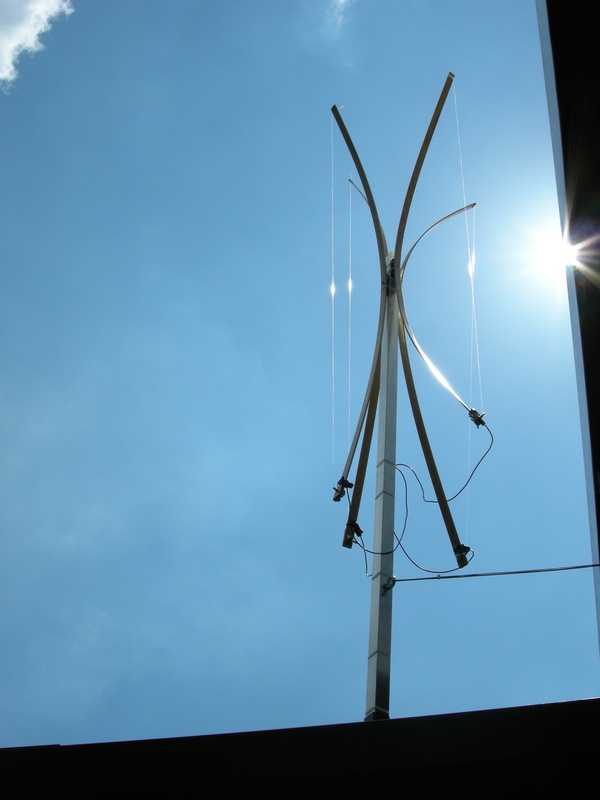 This was a prototype and technical test for a design to be used for a large national touring exhibition (Audible Forces) that started that same year. 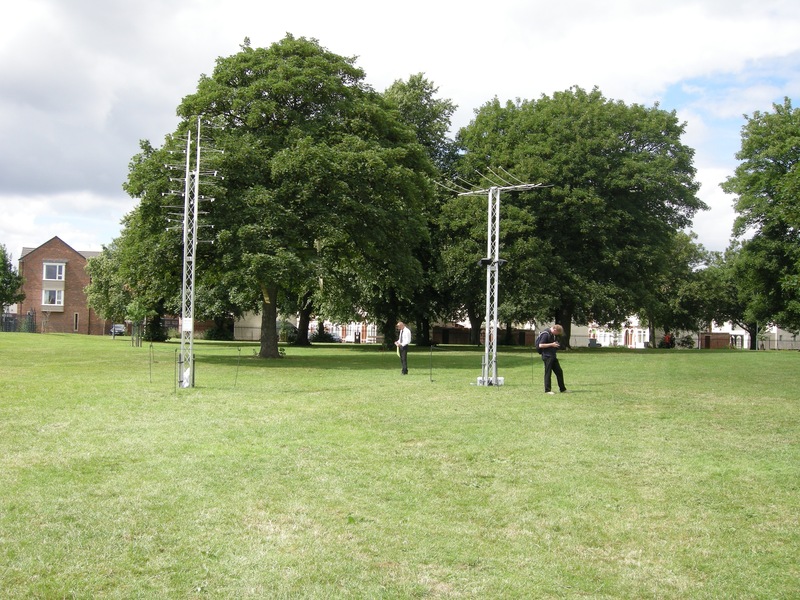 The festival drew many hundreds of people but the significance for Max Eastley was the ability to discuss technical aspects of the design with production staff from the Oxford Contemporary Music organisation - one of the key organisers of the subsequent touring exhibition. 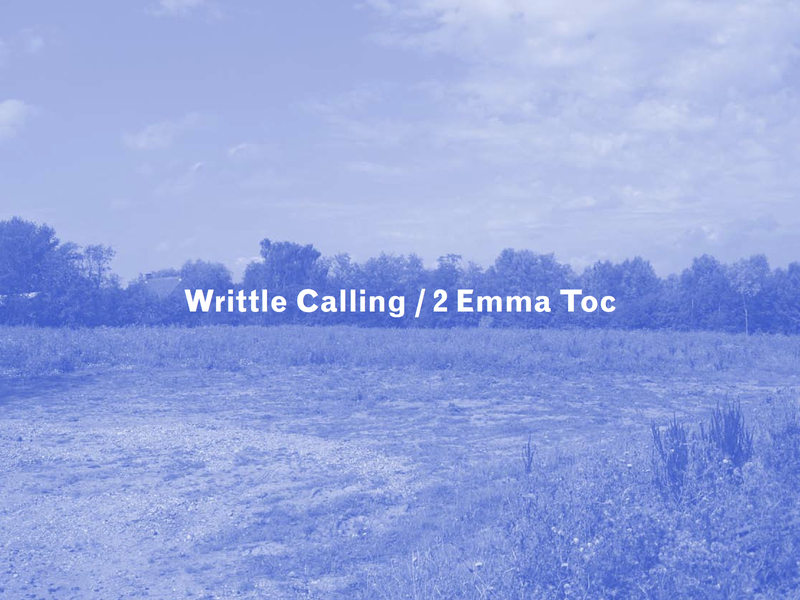 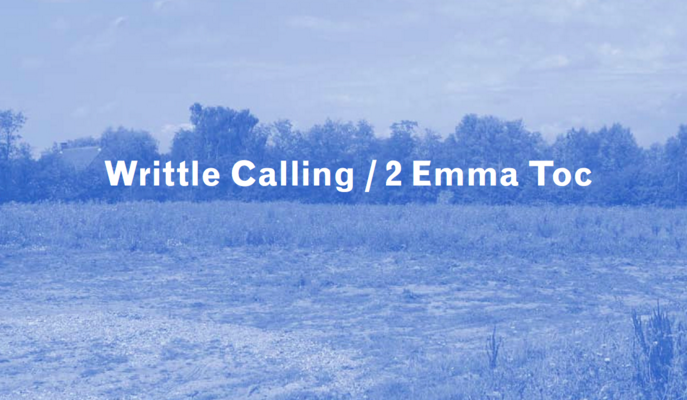 Writtle Calling/2 Emma Toc was a collaborative work, in which Artists, writers, scientists and musicians were invited to make content for a temporary radio station broadcasting from an historic radio site. 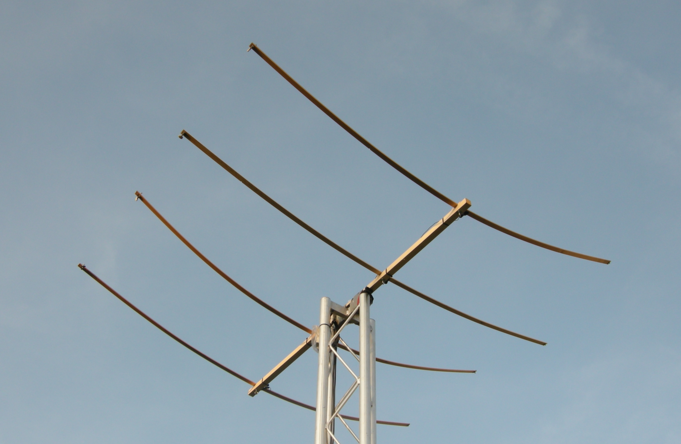 They were asked to respond to notions of broadcasting and communication and to a series of ideas. 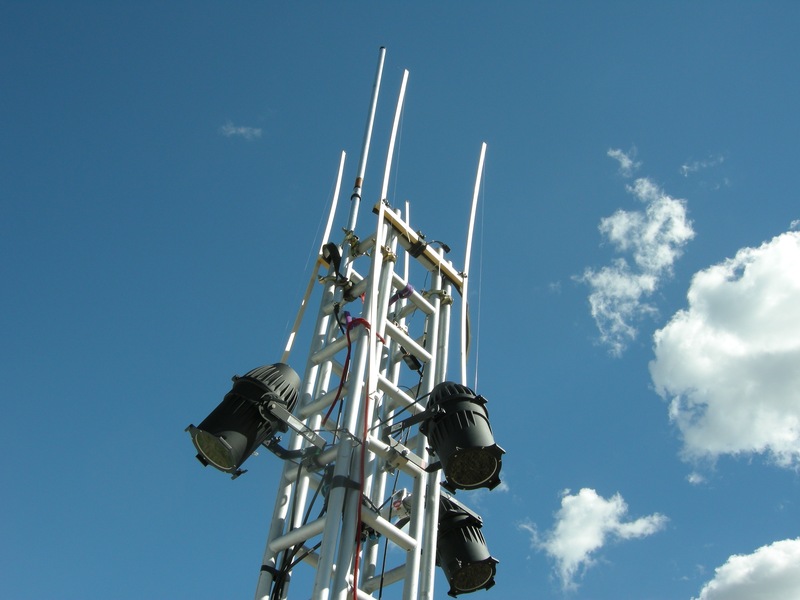 The station was active for 1 week. 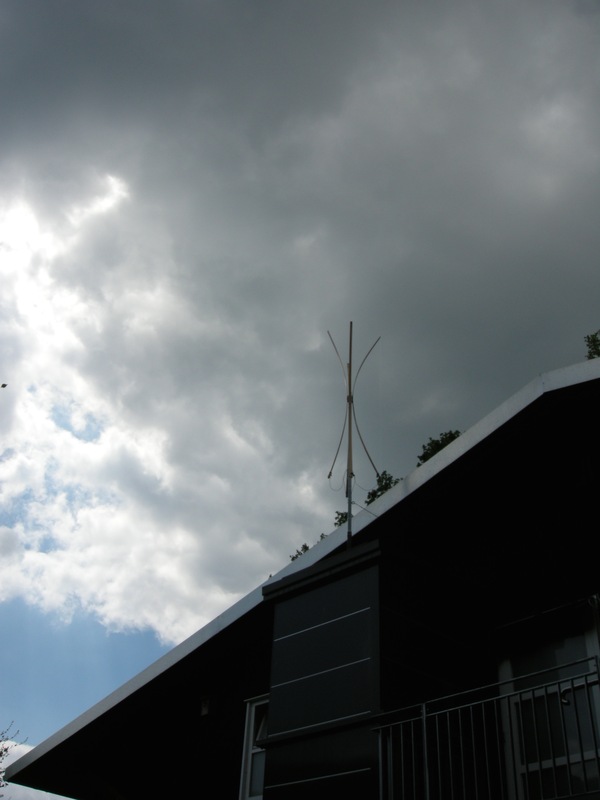 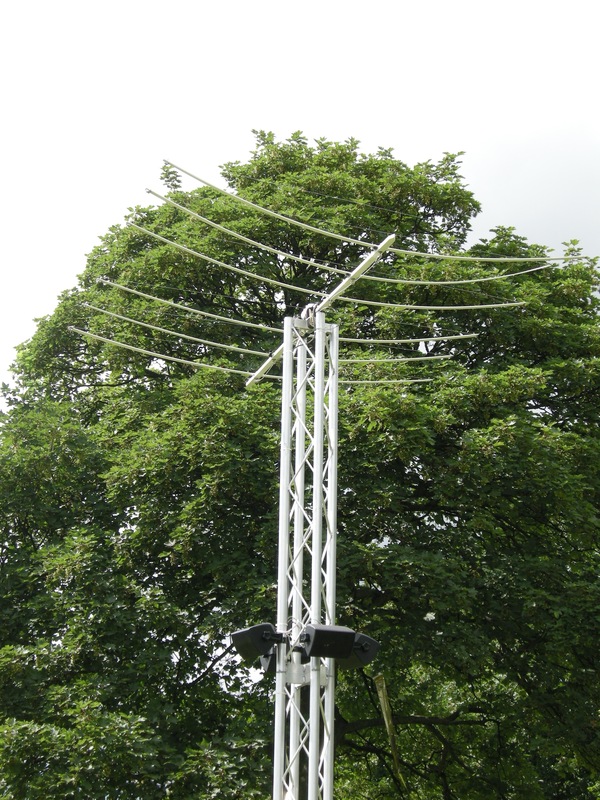 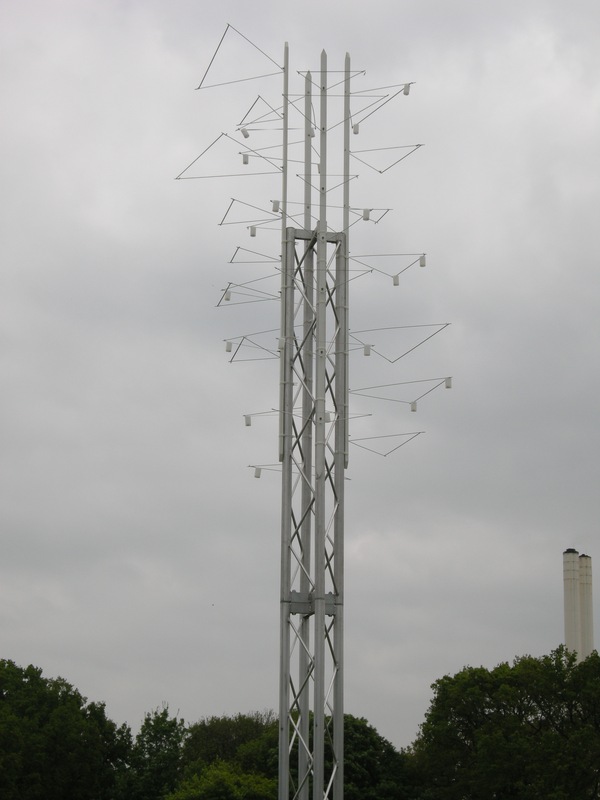 Max Eastley installed four Aeolian harps on the Aerial of the Radio Station. 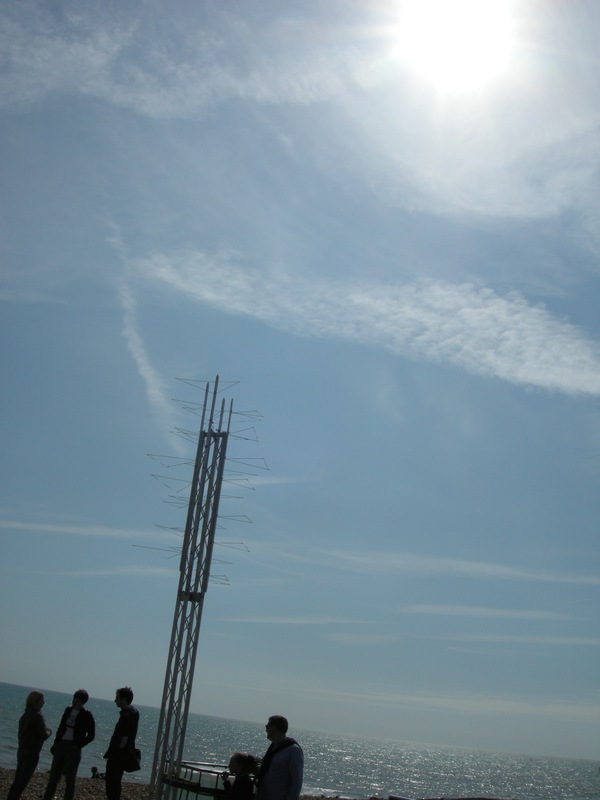 The sounds produced by the wind on the harps were transmitted to the control room and broadcast from 12 midday to 6pm each day. 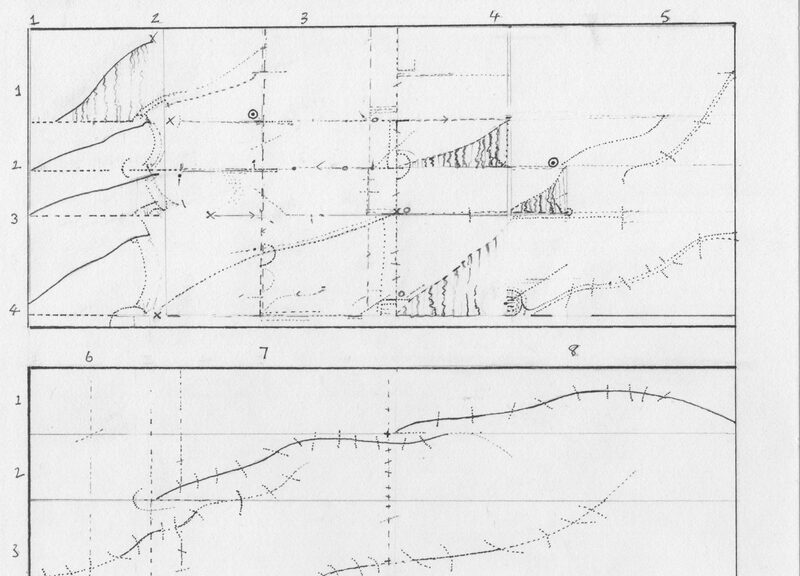 At 6pm other Artists' broadcasts began. 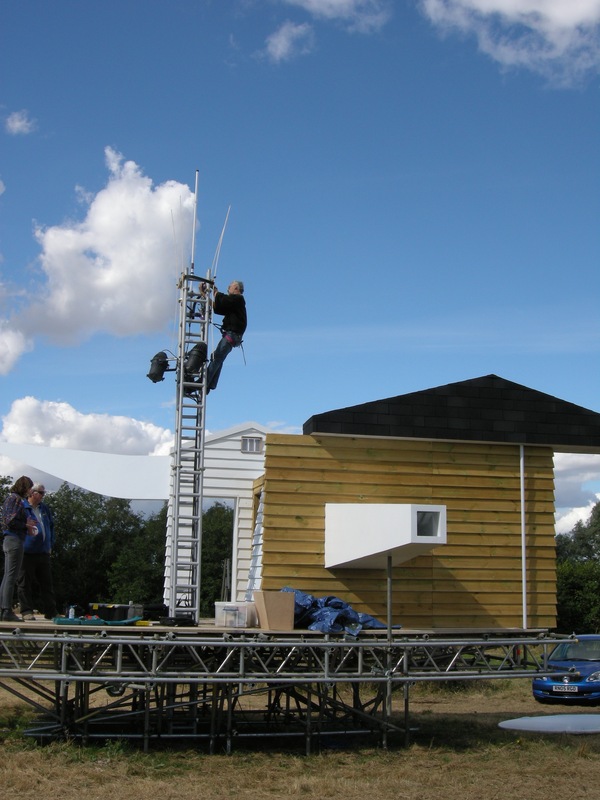 It became evident from the evening broadcasts that the installation could also be heard acoustically as the radio station building acted as a resonator for the installation.